This is the Sobe pen. 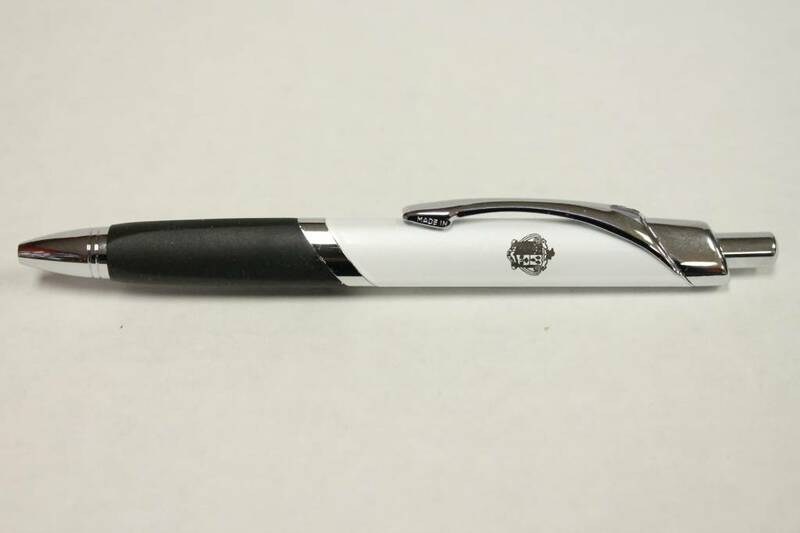 It is a pearl ball point pen with silver trim. German ink cartridge, Swiss nib with the laser engraved Ridley crest. Gift box.